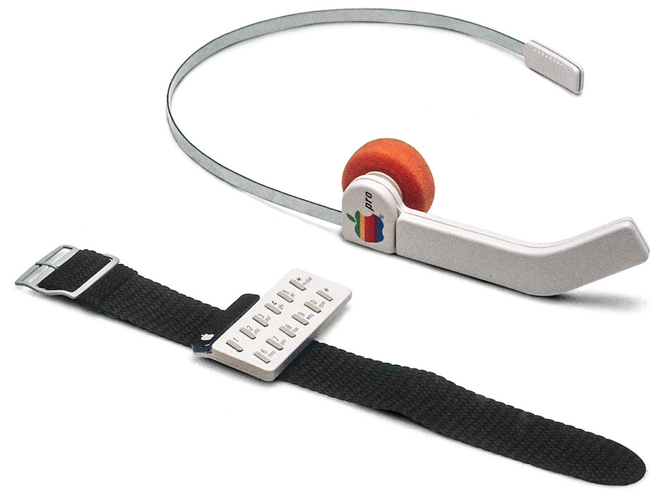 One image from Esslinger's book —entitled "Keep It Simple: The Early Design Years of Apple" —reveals a keypad designed to be worn on a user's wrist that pairs with a wireless headset. The photo is one of a number excerpted from the book and published by German weekly Die Zeit. The keypad sports 12 keys in all, one each for the numbers 0 through 9 and what appears to be one key each for star and pound. The headset, meanwhile, is a single-earpiece design with an integrated microphone that would curve around to the wearer's mouth. Also shown off in the tome is a monolithic, foldable workstation-in-a-box concept based on the Lisa. The now comically large-looking prototype boasts a full Lisa computer, a monitor, a telephone, and a printer in a single package. Both pieces seem to follow the "Snow White" design language that Esslinger created at the behest of late Apple CEO Steve Jobs in 1984. 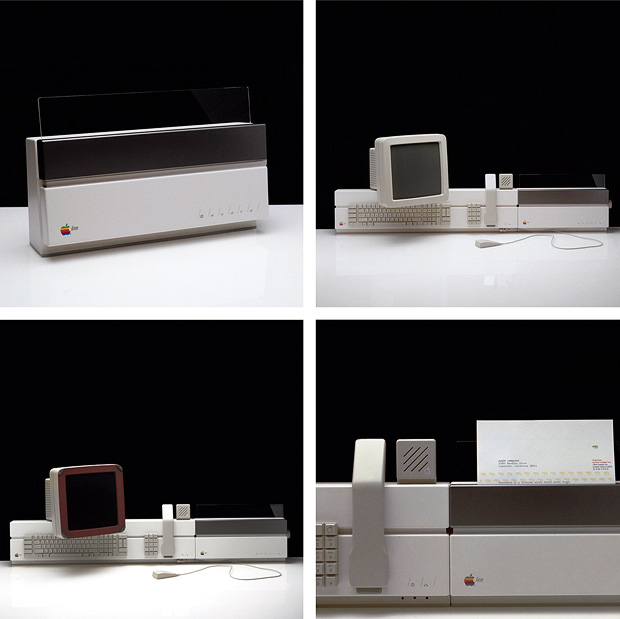 The designs first appeared in production with the Apple IIc, and the company began phasing Esslinger's work out following the release of the Macintosh IIfx in 1990. Esslinger joined Apple on an exclusive contract in 1982 but left the company after Jobs's ouster. Esslinger followed Jobs to NeXT, but did not rejoin Apple upon Jobs's return in 1997.